AFC Leopards made true their threats of boycotting the Top 8 quarter final match against Gor Mahia at the Kasarani stadium as they stayed away from the match venue on Sunday afternoon. Consequently,officials appointed to take charge of the match led by FIFA referee Alfred Kirwa awarded Gor Mahia a walk over after waiting for over 15 minutes. This becomes the first walk over awarded in a top tournament in Kenya since the Kenyan Premier league went professional. GOR Mahia will next play Tusker in the semi finals on 2nd August in a tournament where eventual winners get one Million shillings. A sizeable crowd had turned up to watch the match but they were disappointed when AFC failed to show up. 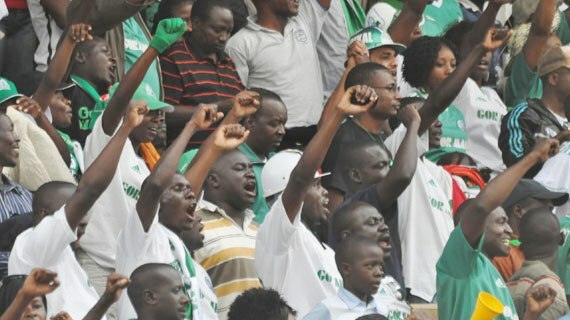 However, KPL CEO Jack Oguda announced that they can use the same ticket for the next match between Tusker and Gor Mahia. Oguda who was speaking after the decision to award the walkover said the team that failed to turn up in this case AFC Leopards will be expected to pay for all the costs incurred for preparing, hosting and broadcasting the match. This is estimated at 5 Million Kenya shillings.